Versatile Coatings LLC has been making ugly floors beautiful Since 2002 and offers several different options when it comes to adding beauty to your floor. With our decorative flake epoxy floors to our unbelievable metallic epoxy floors that will make all your family and friends envious!!. All of our concrete floor coatings are the best on the market. I also offer concrete staining to give your interior floors, sidewalks, driveways and patios a lot more character and a surface that is easy to maintain. Decorative concrete resurfacing options are available to help blend in the patch work with the existing concrete. Whiz-Q Stone is a full service, family owned and operated stone and landscape supply in Fort Worth, Texas for over 30 years. Whiz-Q offers one of the largest selections of natural stone, landscape materials, masonry tools and supplies, hardscape materials, and outdoor living products in the Dallas/ Fort Worth Metroplex. Catering to homeowners and contractors, Whiz-Q's inventory includes over 22 acres of products used to transform ordinary spaces into beautiful places to call home. Whether you are a do-it-yourselfer or in need of a Certified Professional Contractor, Whiz-Q is your one stop shop for all you stone, landscape, and masonry needs. The inventory of products include over 200 kinds of natural stone including the Metroplex's largest selection of flagstone, chopped stone, and building stone. Whiz-Q also has the largest selection of bulk sands, soils, mulches, gravels and cobblestones used in landscaping as well as commercial and residential construction and remodels. Over the last few years inventory and product selection has grown to a complete landscape and hardscape supply including pavers and retaining wall blocks, landscape and garden supplies, and other products used in the landscape, hardscape, and masonry industries. The Whisenand still operates Whiz-Q Stone with quality products in mind and customer service at heart. 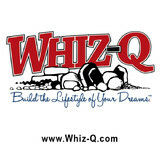 Whether you are in need of sprucing up your landscape, or you find the need to totally transform your outdoor living space, Whiz-Q Stone has all the quality products to help you Build the Lifestyle of Your Dreams™. We are a quality manufacturer of manmade stone veneers which have the look and feel of real stone including cobblestone, chopped stone, limestone, ledgestone, flagstone and many more. Texas Stone Designs’ Veneers are handcrafted with uncompromising craftsmanship using natural materials. Our veneers are cast in molds made from actual stone using Portland cement, lightweight aggregates and iron oxide pigments. Our product offers many advantages. This material is a fraction of the weight of real stone allowing its use in a number of applications that would be impossible otherwise. Our veneers can be applied over any structurally sound wall of wood, masonry or metal siding. The versatility of our veneers allows them to be easily used on exterior and interior applications such as fireplaces and accent walls, on new construction or remodeling applications. We back our products with a 50 year warranty. We are centrally located in Arlington, Texas on a ten acre site where we maintain an extensive inventory. Genesis Masonry is a masonry contractor specializing in brick, stone, and stucco related services. We work in and around the DFW metroplex our typical projects are high end residential and medium to small commercial projects. Our team has in-depth industry experience, and we apply care and attention to insure that our clients' projects, large or small, are constructed to meet expectations. We are proud to be serving the Dallas/Fort Worth metroplex with the highest quality of stones and building materials. We will be glad to help you with your next landscape project. Whether you want to enhance your landcape, build a new patio or add a swimming pool, Stone Quarries Direct will provide you with the expertise you need to make your dream a reality. With hundreds of projects and many more happy customers, you can rely on Stone Quarries Direct to always treat you, our customer and most important asset, with the highest level of honesty and integrity. PavePro is a unit paver and segmental retaining wall turnkey installer. When you are ready to add a touch of elegance to your outdoor area such as custom patios, custom driveways, custom sidewalks and retaining walls, call PavePro. We offer creative design and superior installation for all our custom concrete paver products. One thing our company focuses on is staying on the cutting edge of the market by providing clients with a variety of new styles and colors to select from. Our team will make sure you receive unsurpassed quality and customer service during the installation process. At PavePro, we offer a lifetime warranty on all concrete pavers and a five year warranty on all workmanship. Our goal is to ensure that you are completely satisfied and happy with our work. We want to enhance lifestyles by incorporating aesthetically pleasing hardscapes in residential and commercial areas. Nevil Masonry Supply, Inc. has veen serving Commercial & Residential Builders in the Metroplex, since 1976. Our convenient locations in Plano & Frisco allow for easy custom pick-ups! 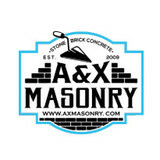 Our two showrooms have the latest in masonry products from all the major brand names including power tools, color & cement stains, mixers, hand tools, diamond blades, and all other categories of masonry supplies! We provide competitively priced products to the job site with our unmatched customer service! Call us today for a quote on your next project. One of the largest masonry repair contractors in Texas, Advantage Masonry specializes in residential and commercial brick repair, chimney repair, and firebox repair. We have perfected and patented a process known as the “Advantage System” of blending both the color and texture of the repaired areas to match the original masonry work. All work is fully insured and performed by our full-time employees, not by sub-contractors. All employees undergo a full background check to ensure the safety and integrity of our workforce and clients. GarageFloorCoating.com (GFC) is a leader in and is dedicated to providing the highest-quality coating system products and services to our customers. Our pledge is to establish long-lasting relationships with our customers by exceeding their expectations and gaining trust through exceptional performance by every member of the GFC installation and operational teams. We have years of experience doing concrete work and your options to customize with color, design, and finishes are virtually limitless. We specialize in stamping, resurfacing, and staining concrete for commercial and residential projects. Is it time you spruced up your outdoor living spaces? Creative Garland pavers, masonry contractors and stone suppliers can help. Professionals specializing in hardscape such as walkways, patios and retaining walls will work with you to design, plan, install and even fix your exterior and interior home projects. Read further to learn how to best find and work with Garland, TX stone, brick, paver and concrete contractors. For the most part, people hire a stone or concrete contractor for large installations like driveways and walkways, or for home facades and exterior columns. These brick, pavers or stonework installations can add lots of functionality and visual curb appeal to your Texas home. Pavers come in a wide variety of colors, shapes and sizes, and the right vendor or specialist can help you choose a color and design that complements your existing landscaping. From installing new exterior columns to repairing your chimney, masonry contractors can help you add both visual appeal and value to your property. They’ll know what kind of installation makes the most sense for your Garland, TX climate and regional style. Looking for something that will develop a patina with time? Or would you rather have your home feel brand new for years to come? Choosing the right kind of stone involves thinking about the future, too. Experienced brick suppliers and stone suppliers can help you find the material that will work for your home now and for years to come. These professionals aren’t limited to exterior work either. Whether you want a split-stone granite wall in the kitchen or need help installing traditional brick masonry on your fireplace facade, you’ll want a professional to get it right. If you’re already working with an architect or designer, he or she may be able to suggest a good Garland, TX subcontractor to help out. Here are some related professionals and vendors to complement the work of stone, pavers & concrete: Landscape Architects & Landscape Designers, Architects & Building Designers, Garden & Landscape Supplies, Driveways & Paving, Siding & Exteriors. Find stone, paver and concrete professionals on Houzz. 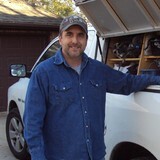 Search the Houzz Professionals section for Garland, TX stone, paver and concrete professionals. Browse photos and read reviews, and contact a pro if you like their work.